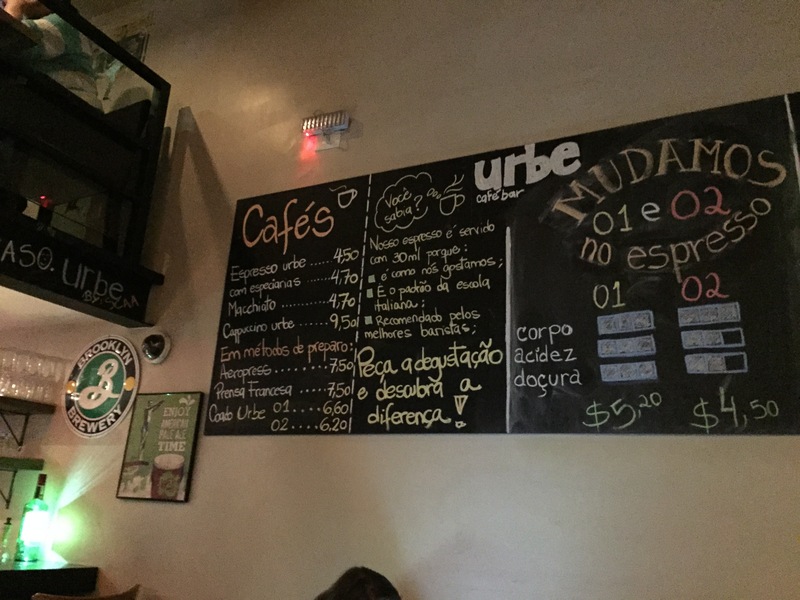 Urbe Café Bar is exactly the coffee place I was looking for in São Paulo. It has a really cool vibe and delicious coffee. When I first walked in I was overwhelmed by the number of people and the dim lights, but I really liked this spot. 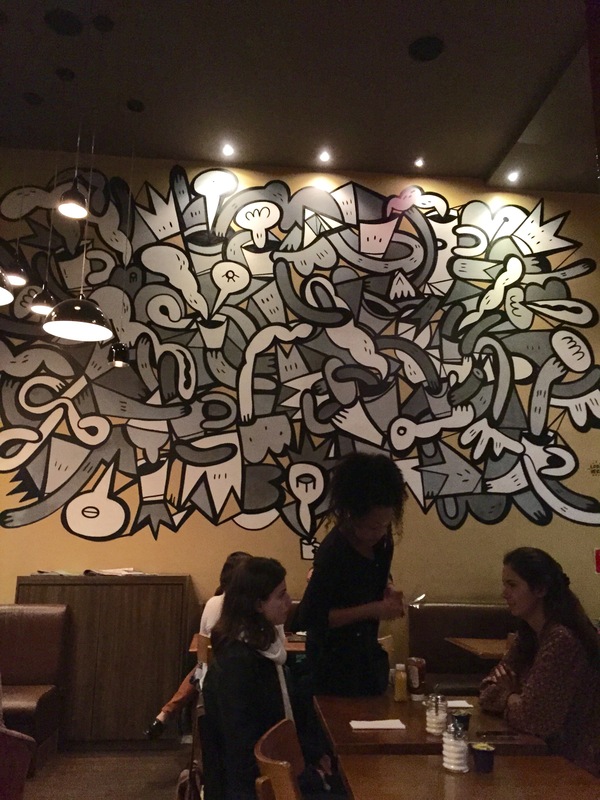 It had quotes about coffee written in chalk on the black walls next to the extensive coffee menu. 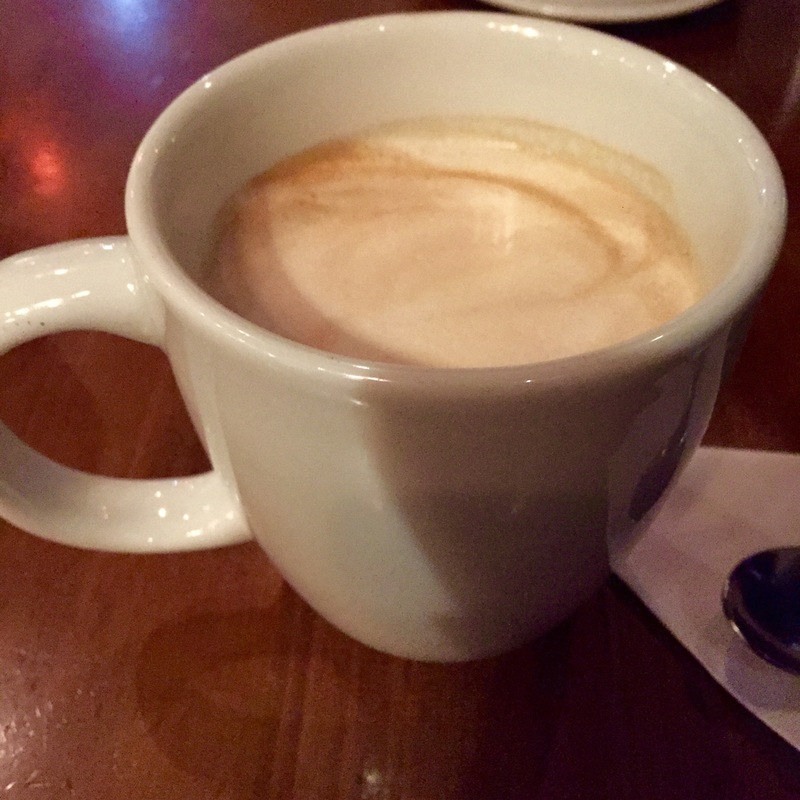 Although I was tempted to order the Urbe cappuchino which had doce de leite and lime shavings on top, I decided to go more basic with a latte while my friend ordered black coffee. Once I took a sip of the latte my eyes widened it was so good. It was slightly sweet and full bodied. Once my friend took a sip she said to me, “As a married woman I know what love is, and let me tell you this is love”. That quote was pretty appropriate. 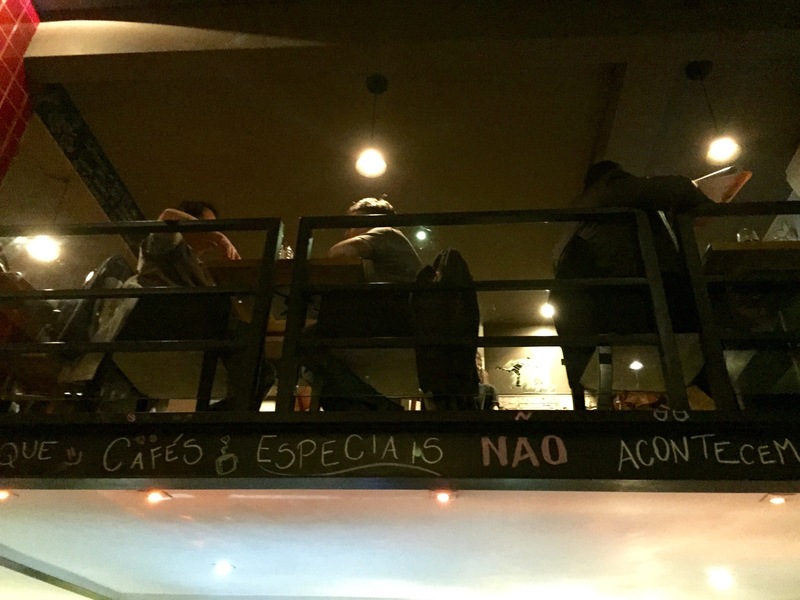 I wish I had more time in São Paulo so I could return to this café, but I guess I will just have to wait until the next time!